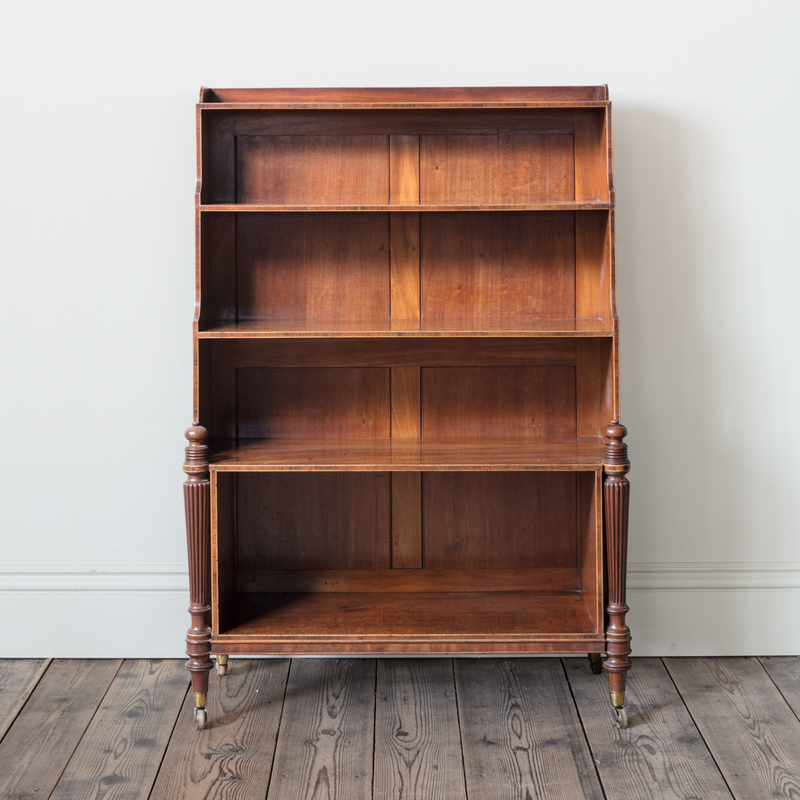 Each crossbanded in rosewood, with four graduating shelves, with turned tapering reeded supports, brass caps and casters. 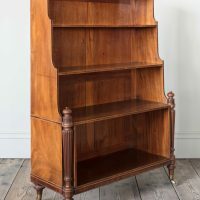 The pair of bookcases have recessed reeded columns in the Pompeian manner and are framed by ‘ribboned’ rosewood. 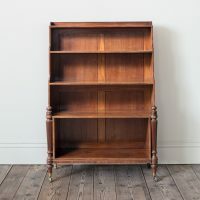 In 1801, Gillows of London and Lancaster supplied a closely related pair of bookcases to Luke Dillon, 2nd Lord Clonbrock to furnish his new library at his ancestral home, Clonbrock in Co. Galway. 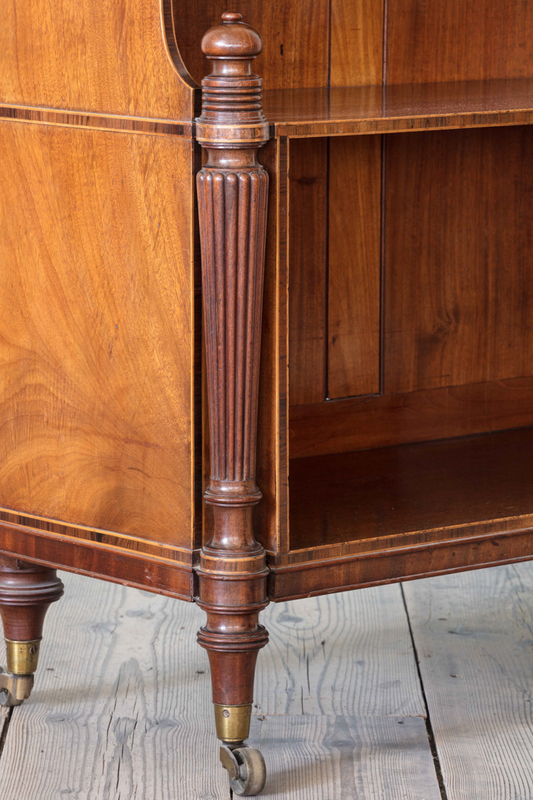 They were sold by Mr. and Mrs Luke Dillon-Mahon, Clonbrock, Christie’s house sale, 1st November 1976, Lot 12. 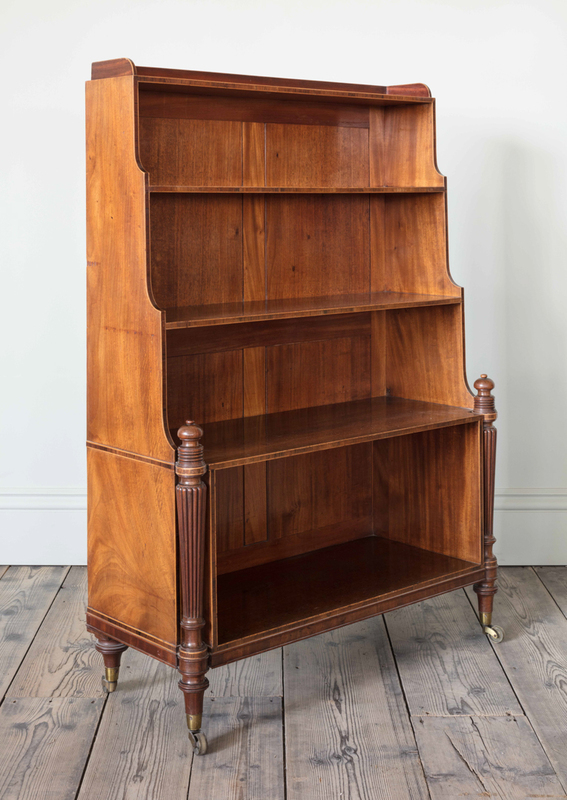 The fashionable ‘moving bookcase’ of this type featured in Thomas Sheraton’s Appendix to the Cabinet-Maker and Upholsterer’s Drawing Book, 1802 (pl.23). 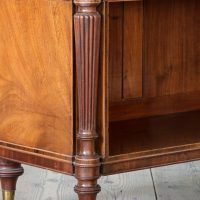 Provenance: Most likely supplied to Robert Ferguson, M.P. (d.1840) for Raith House, Kirkcaldy, Fife, and by descent.